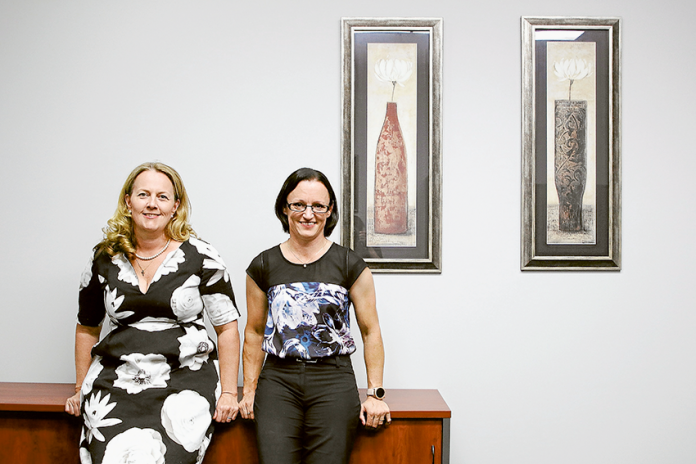 COMMUNITY LEADERS… From left, Goulburn Murray Community Leadership Inc. (including the Fairley Leadership Program) CEO, Michelle Luscombe and GMCU CEO, Melissa Ralph. Photo: David Lee. THE Fairley Leadership Program is the signature leadership program of Goulburn Murray Community Leadership and is now in its 23rd year with over 525 graduates to date. The program provides an opportunity for 25 aspiring regional leaders each year to develop their leadership capacity through skills development; community knowledge and awareness; network expansion and practical experience. The intensive 11-month schedule explores opportunities and challenges facing our region, with a key focus on how graduates can contribute to the region both during and after the program. 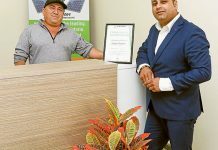 The Goulburn Murray Credit Union (GMCU) has recently announced their involvement, not only through sponsoring an employee to participate in the program, but also as a major sponsor for 2019. GMCU CEO, Melissa Ralph commented, “The Fairley Leadership Program is such a great showcase of how committed those within the Goulburn Valley are to achieving positive outcomes for our region. “We are thrilled to have one of our team accepted into the program and are equally as proud to play a small part in supporting its vision to develop leaders as a positive catalyst for change. GMCU has 10 branches located throughout the region, including branches in Shepparton, Mooroopna, Kyabram, Benalla, Echuca, Numurkah, Euroa, Seymour and Kilmore. Visit www.gmcu.com.au or contact the Shepparton GMCU branch on 5821 9033. If you can afford your monthly power bill, you can afford to go solar!